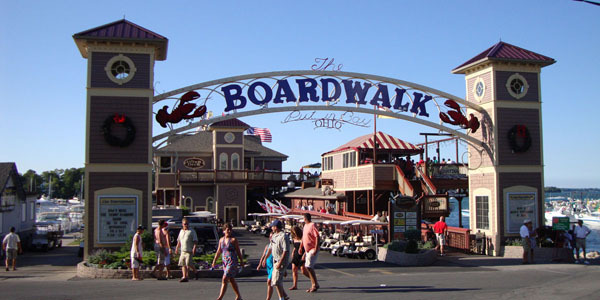 With stunning views and scrumptious meals, The Boardwalk Restaurant at Put-in-Bay has much to offer. After an extensive addition and remodel, this establishment offers diners many choices in service and food. You can choose to get a bowl of famous Lobster Bisque through the traditional cafeteria style main level. Or you may opt to sit on the Upper Deck and be served in a warm atmosphere. Whatever your preference, The Boardwalk has something for you. For most of its history, Put-in-Bay's primary industry has been tourism and continues to be today. The tourist season runs roughly between April and October. Copyright © 2009-2019 Putinbay.com LLC. All Rights Reserved.